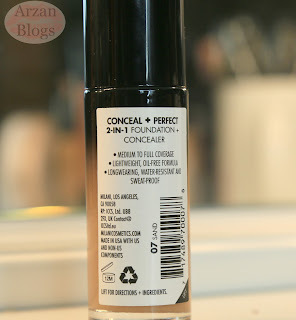 Milani 2 in 1 Conceal + Perfect Foundation is claimed to be a foundation and concealer. It retails for around $10 depending on where you get it. 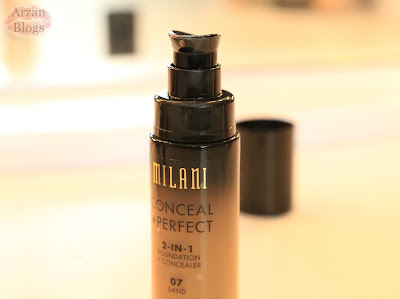 It's currently available in some stores and online at Amazon and Milani Cosmetics website. As for Canada, it's also available on Amazon for $15 CAD. It comes with a pump, so that's always a plus and it contains 1 oz of product. There are 15 shades to choose from. 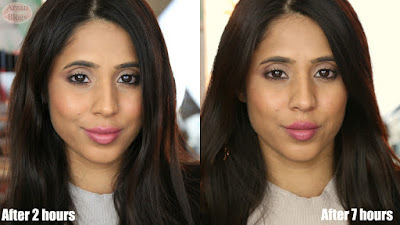 Click here for my shade reference blog post, where I list the MAC conversion shades and videos by other YouTubers for almost all shades. 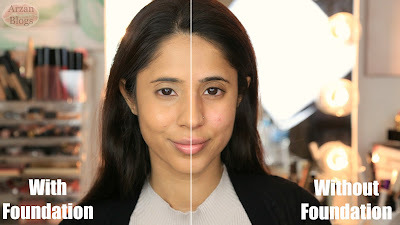 I got the shade 07 Sand and I think it's a good match but I've seen other YouTubers with my skin tone using shade Sand Beige 06, so not sure if that would be a better match for me. I don't own any MAC foundation but I should be around NC40-NC42 in MAC. Click here for full list of foundations that I wear (I do update blog regularly). Application: It's very easy to apply! 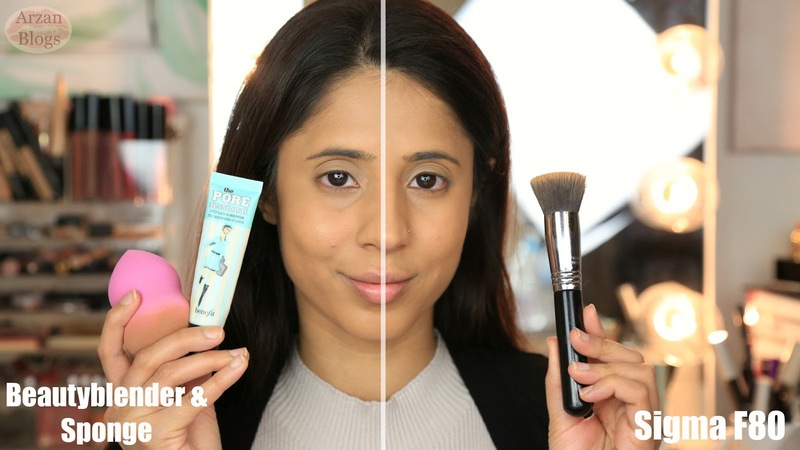 The brush gives a better coverage, so what I like to do is apply first with a brush and then blend it out with a beautyblender. Wear time: I tested it out for about 7 hours and it looked good throughout the day. It did slightly fade away by end of night. Since I have combination skin (oily t-zone), I did notice my skin looked oily by the end of the day but it's not as bad as I thought. However, if you have oily skin then you do need to set it and might need to touch up depending on how oily your skin is. Overall, I think it's a good everyday foundation. It gives a natural, flawless finish. It's very easy to apply and doesn't cling on dry patches. I have combination skin with oily t-zone and this foundation doesn't make me look too oily throughout the day. However, it depends on how oily your skin is. It's great for someone with dry/normal skin and if you have oily or combination skin like I do, then I would recommend setting it with powder and you may need to blot. 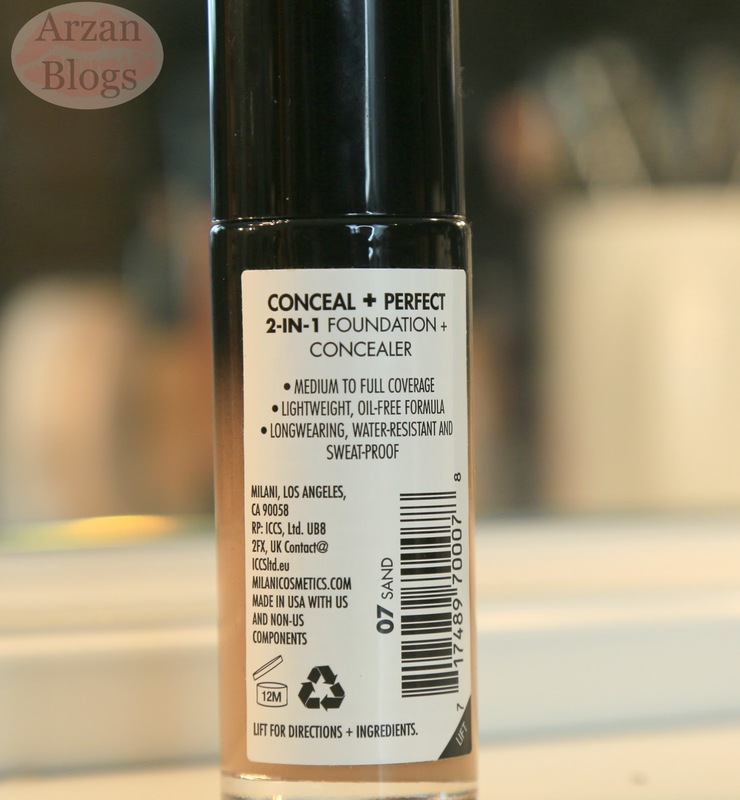 The only thing I dislike about this foundation is the scent. It really bothers me. It lingers for about an hour after I apply it but then I can't smell it after then. This post seems really helpful for me! Recently I did my make up lesson by Lina Cameron, she trains best make-up lesson by Lina Cameron . But, I am new in this makeup line. I am willing to purchase this foundation. Can you suggest me which shade will be best for NC30 ?